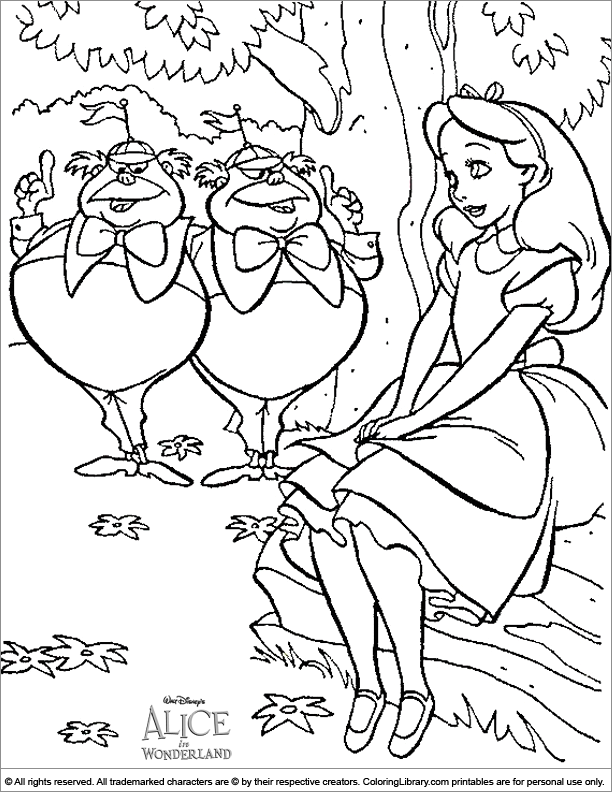 Have a colorful adventure with this Alice in Wonderland coloring page for children. Children love to get creative with pencils, paint and crayons. You can make coloring a fun weekly activity. Add this Alice in Wonderland coloring page for children to your coloring book and staple all the Alice in Wonderland coloring pictures together or put them in a binder.